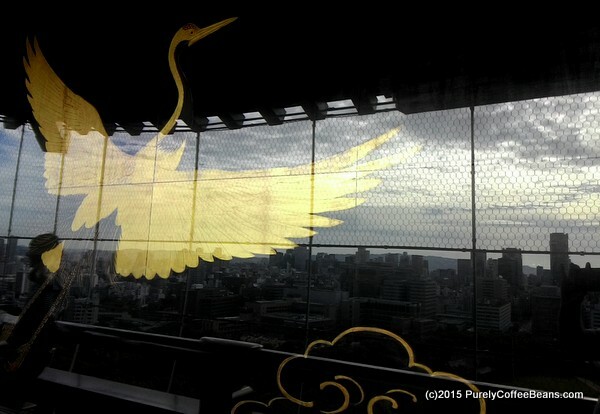 Osaka Castle, Osaka Japan: Top Floor Overlooking the City – Look Through The Lens? Will you? Osaka Castle Tower Top Flower, overlooking Osaka City.